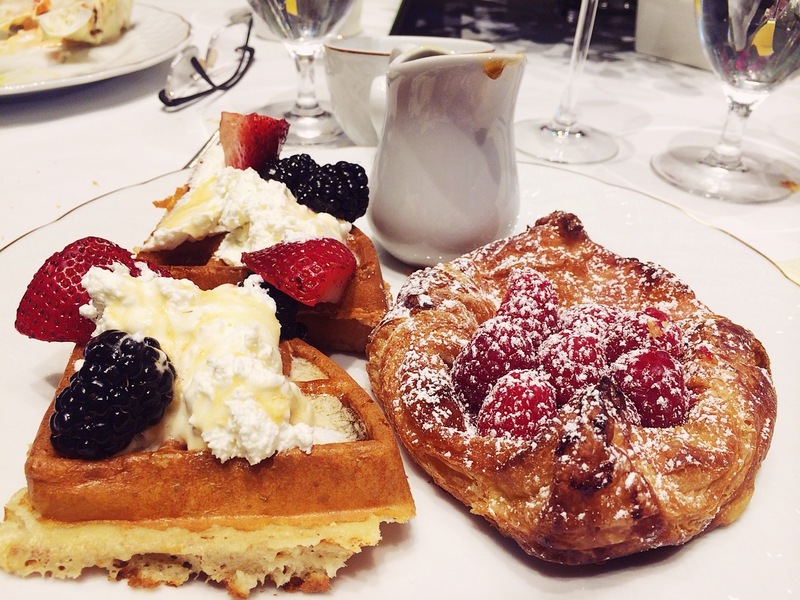 I’ve been to a lot of brunches in my life, and the Four Seasons Beverly Hills Sunday Brunch takes the cake. It is by far my favorite brunch. We celebrated Mothers Day there this past weekend, and it was the perfect choice. First of all, the Four Seasons is an exquisite hotel. We sat on the indoor/outdoor patio, and every table had pretty fresh flower center pieces. The room was draped beautifully with curtains and chandeliers. It was alongside a beautiful lush garden and the weather was perfect. As far as the food goes… the buffet is huge. The lay out is in four different areas and is quite impressive. There is nothing they don’t have at this buffet- there is something for everyone’s taste. They even have a kids table with PB&J sandwiches, grilled cheese, mac n cheese, jello cups, chicken fingers, french fries, burgers, etc., which is actually my favorite part (don’t judge me). ALL the food is excellent. Even on a regular Sunday, their brunch buffet is just as good. I tend to get excited and a little overwhelmed when there is so much food I don’t even know where to start lol…but I managed to snap a couple of quick photos from our family Mother’s Day.